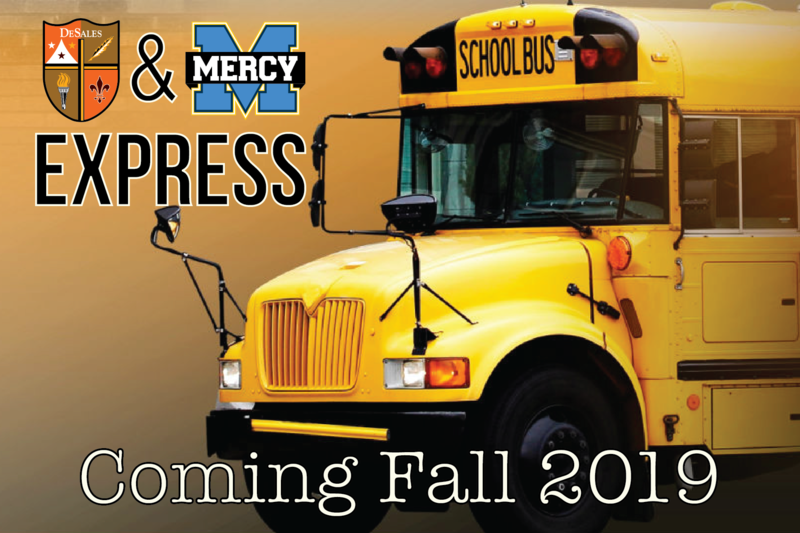 Mercy Academy and DeSales High School are teaming up to offer more bus stops for students. 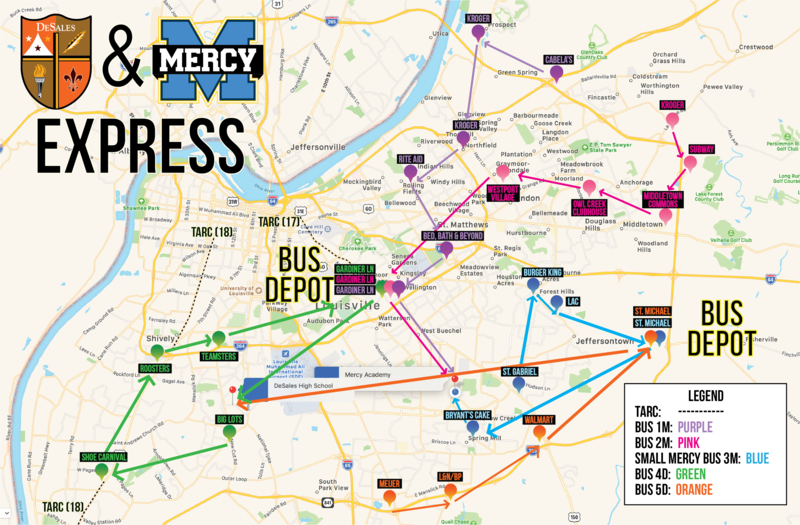 Beginning Fall 2019, Mercy and DeSales will have five bus routes with 26 stops that spread over the greater Louisville area: from Shively to Prospect to J-Town to the Highlands and beyond. One-way and round-trip services are available. The cost for the bus service is $750 per student, per year round trip or $400 one way. To view bus routes, click here, and to view pick-up/drop-off times, click here. To enroll in the bus service, please download the 2019-20 Bus Service Parent Agreement Form and turn it in with a $200 non-refundable deposit by Wednesday, May 15. "This partnership between Mercy and DeSales is truly unique in that it provides transportation access across the Louisville area with over twenty different stops. Louisville families who desire a Catholic high school for their child will be assured that transportation is no longer a barrier." - Sarah Peace, Principal. If you have questions, please contact Tracy Edgerton at (502) 671-2010 ext. 2213.